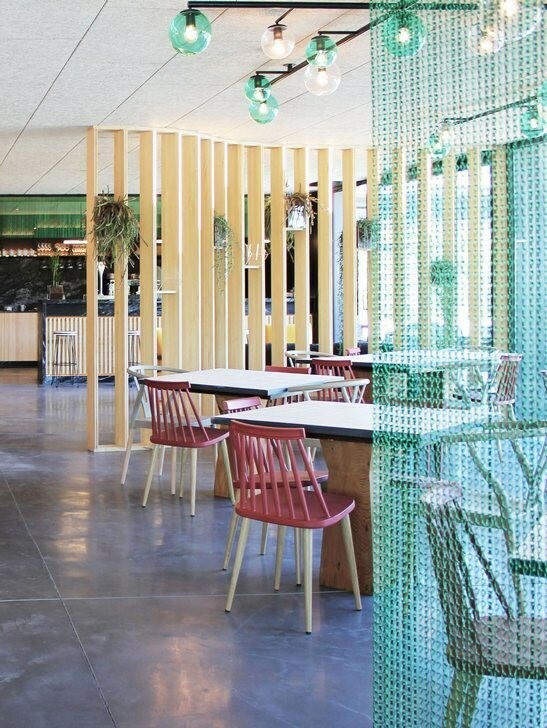 On the outskirts of Madrid you can find Desert City, a biotechnological nursery specialized in Xero-landscaping that includes a bar-restaurant designed by YNOT Studio. As its name suggests, it is a place of truce, rest and refuge, bathed in light. An atmosphere designed with enough personality to generate unique sensations. 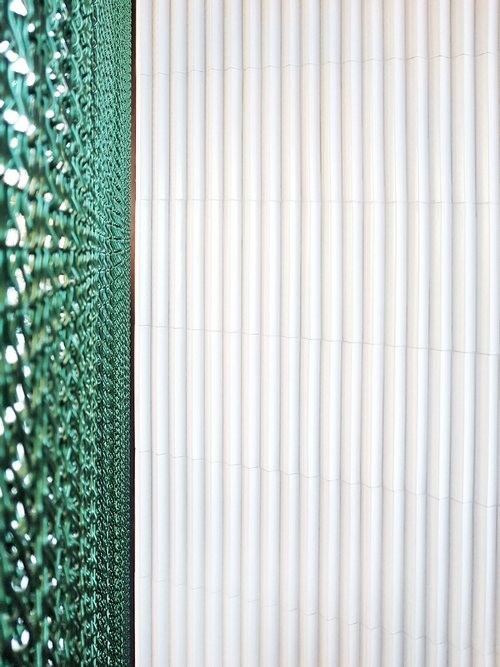 Within this minimalist space we find two Kriskadecor curtains in green satin: one of almost 3 meters high that acts as a translucent space divider. 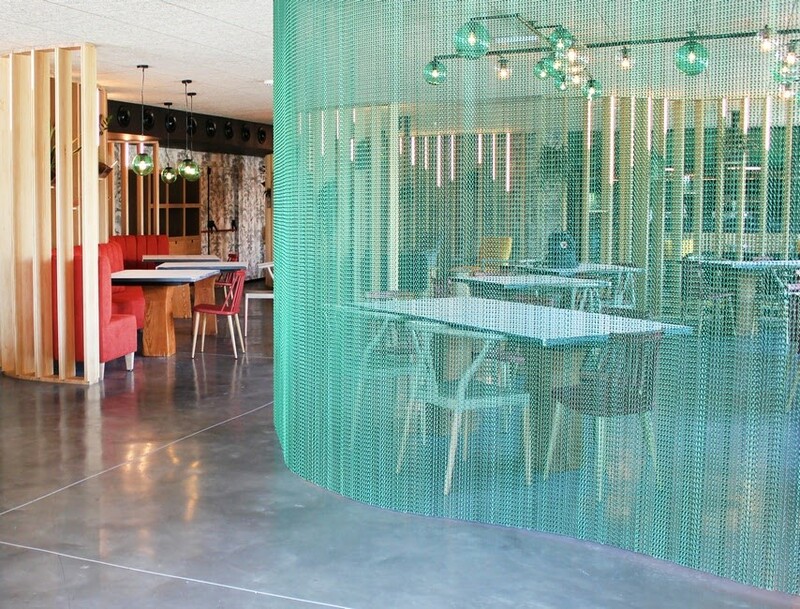 The other, a "fringe" that embellishes the upper part of the coffee bar.